The first step of determining if you have a Radon problem is to have testing performed, but what do those test results mean? Radon has quickly become a concern among homeowners, and with good reason, as this invisible gas is the second leading cause of lung cancer nationwide. But how is testing performed and what do those test results mean? Why is it important? Radon is the second leading cause of lung cancer in the United States (behind only cigarettes), and being odorless, colorless, and tasteless, can be in your home without you even knowing. Testing is the only way to determine the Radon levels in a property, making it incredibly important. How do they test for it? There are essentially two types of Radon tests, cartridge style tests, and tests performed professionally using Continuous Radon Monitoring equipment. While cartridge tests may generally be performed by homeowners, Continuous Radon Monitoring equipment is generally used by home inspectors and professional testers. Regardless of the type of test chosen, an average will be taken from the results to get your Radon level in PicoCuries per Liter (pCi/L). Depending on the testing method used, your test results may be presented differently in the report. In the case of cartridge style tests, the laboratory testing divides out the radon absorption level in the cartridge material over the number of testing days to arrive at the average Radon level and reports only this average. When using Continuous Radon Monitoring equipment however, the report often details the daily or hourly testing results along with the overall average. While there may be spikes or dips in the hourly or daily Radon levels, the average is considered a better indicator of an issue that may need to be rectified. What is the difference between a Short Term Test and a Long Term Test? Typically, short-term tests are conducted in most realty transactions because there is not enough time to conduct a long term test. 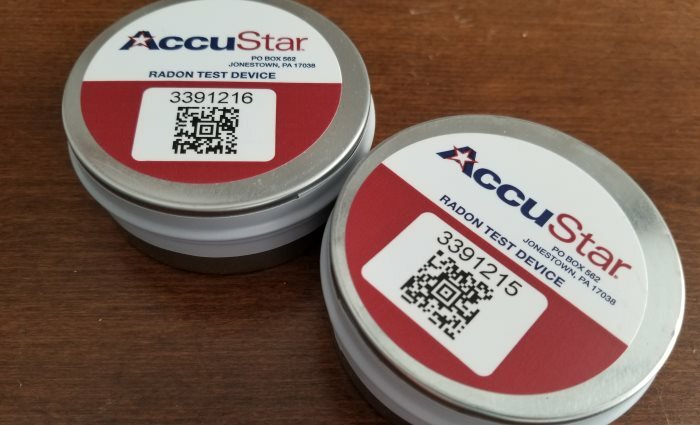 While the short-term Radon test is an excellent tool for getting a quick understanding of radon levels, it is recommended that they be paired with a long-term testing approach to be certain you are safe year-round. Radon levels can change throughout the year, so a long-term test is a more accurate measurement of the overall exposure. A short-term test is conducted for 2 days to up to 90 days. A long-term test is conducted for over 90 days in an effort to determine what the year-round average Radon level may be. What is considered too high? It is recommended by the Department of Environmental Protection to have a Radon Mitigation System installed by a licensed professional whenever a Radon level exists of 4.0 pCi/L or above. While efforts can always be made to reduce the Radon level further, this is the level that has been determined to require action. What does a Radon Mitigation System do? The goal of a Radon Mitigation System is to remove Radon gas that is entering the home and exhaust it above the roof line. This is accomplished by creating an access below the foundation slab and installing a specialized Radon Mitigation Fan that is able to operate in these unique conditions. By exhausting the Radon gas being drawn from below the slab, it is no longer a health hazard, as it is unable to collect in your home. Once a mitigation system is installed, a post test should be performed to make sure the system is working sufficiently. It is also recommended that a retest be performed every 2 years thereafter to ensure that changes are recognized and can be addressed timely. Why did my Radon test results vary so much? The level of Radon gas that is released by the soil and enters the home naturally fluctuates. As a result, testing that closely monitors Radon levels will reflect these fluctuations and changes. This is completely normal, and why an overall average of the results is used to determine the extent of a Radon issue. My current Radon level is higher than it was a few years ago, why would this be? As Radon gas is released below the soil, many factors can impact the current Radon level in your home. Everything from the current weather conditions and geological changes to nearby construction has been linked to changes in the indoor Radon level of homes. For this reason, the Pennsylvania DEP recommends regular Radon testing to monitor for these changes so that they can be addressed in a timely fashion. Radon testing results can be a bit confusing to the average homeowner, but it isn't a problem that can't be corrected. If you have recently discovered that you have a Radon issue in your home, please don't hesitate to Contact Our Offices, we're always happy to help!